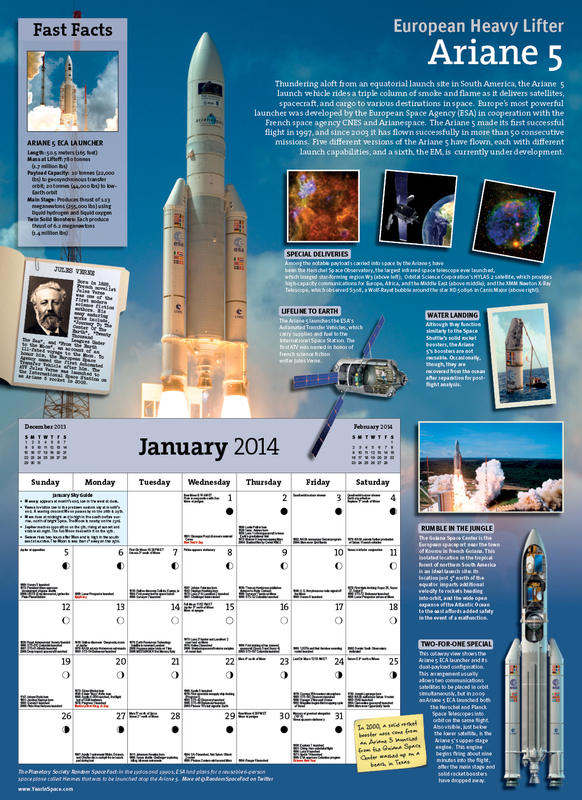 The 2014 Year in Space Calendars are Here! The 2014 Year in Space calendar — order yours today! ORDER HERE and click “Internet” to get the Year in Space wall calendar for just $12.95 USD (reg. $16.95) with FREE SHIPPING! Now that’s a deal. Out of wall space? Check out the desk version here. Previous Post What Happened to Mars? Next Post Happy Birthday, ISS!